Restoring your websites is an important part of managing them. 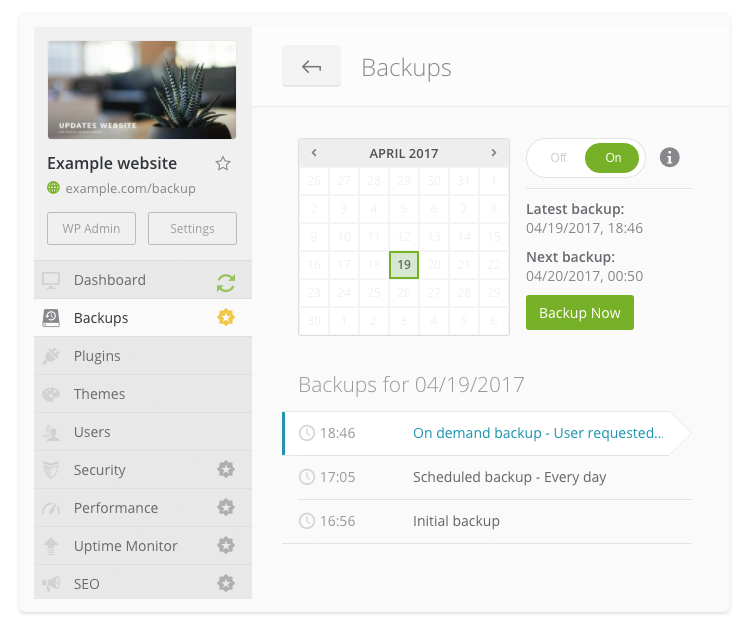 Restore feature is a part of our Backup tool, and you can use it when you need to restore settings and files that you have on your backup. To restore your website, go to your Websites screen, hover over a website and click View Backups. Select the date of the restore point in the calendar on the left-hand side. If you created several backups on that day, select the exact restore point below the calendar. 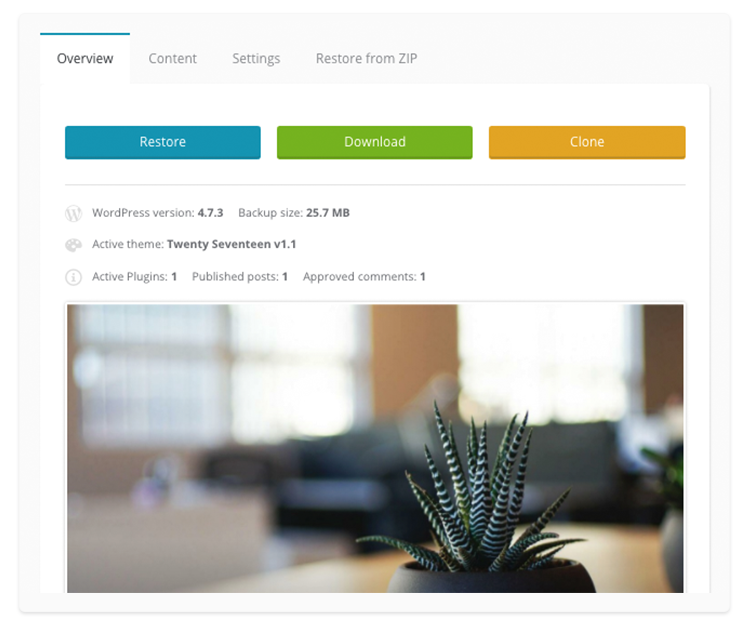 Click Restore in Overview section on the right-hand side. Confirm that you want to use the selected restore point by clicking Restore. When the process is done, you will see the notification whether the restore was successful or not.